We all know the good old saying: “If it ain’t broke, don’t fix it”. Unfortunately, the folks at Sony HQ must have missed the memo. The PlayStation 4 is dominating the competition in sales at a scale of 2:1 or 3:1, depending on who you talk to and whose figures you think are fudged less. 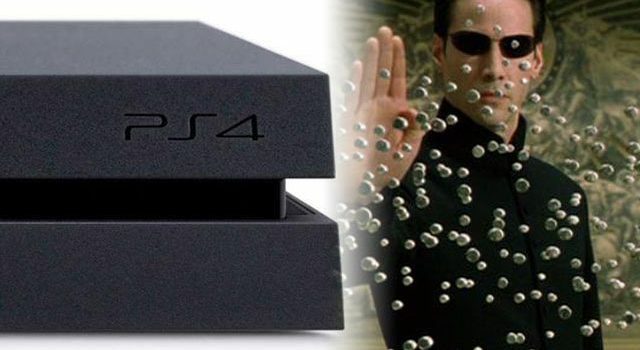 And now, if recent reports are to be trusted, we’re getting a brand new PlayStation 4, dubbed the “4K” or Neo”, before the year’s out. There’s no question that the PS4 is the dominant console this generation. That is not up for debate. You can stuff your console war rhetoric in a sack, mister: Sony has won this generation. The question then is why Sony would undermine its own success this generation by splitting the user base down technological lines. Now I know what you’re thinking: reports about Neo have been clear in that Sony has explicitly directed developers not to “split” the user base, and that each game made from October onwards must have both a “base” (being pre-October 2016) mode and a “Neo” mode for higher-quality graphics, a higher framerate, and, potentially, a higher online player count. That’s not the issue here, though: when you release hardware with different specs, you are splitting the user base, whether you care to admit it or not. The reality is that Sony — if the reports are to be believed — is setting a standard of hardware upgrades that was once exclusively confined to PC gaming. Consoles have always had fixed specs for a reason: they’re accessible and convenient for both consumers — who might lack the technological know-how to constantly upgrade PC hardware — and developers. Think back to last generation when Microsoft made the shortsighted decision to start selling Xbox 360’s with a smaller HDD. We might not have felt it as gamers, but some developers were vocal in how they struggled to adjust a game’s performance to work on different versions of the hardware: one with a larger HDD, and one with a smaller (and in some cases no) HDD. The difference here is that Sony is actually offering an upgrade: a console that quite literally renders an already expensive piece of hardware obsolete a mere two-and-a-half years after its release (three years by the time 4K is released). There are other concerns here, though. You have 40 million PlayStation 4 units already out there. Someone that invested at launch might be more inclined to invest in a 4K unit, but someone who got a PS4 for Christmas might be wondering why Sony is releasing an upgraded version of the console only 12 months later. No one should have to question whether a top-selling console is going to be rendered obsolete a mere three years after its initial release. My personal concern here is that the console industry is making a shift towards the PC model: that is, upgradeable hardware. I don’t actually have an issue with that model, and it works with PC and with smartphones, which are quickly outdated and are purposefully not future proof to justify future iterations. Manufacturers make no secret of this, and phone plans tend to fall in line with new phone releases. However, consoles serve a purpose in that they are super convenient for all parties. That’s the point. Further to this, it’s doubtful that the model applied to the console industry would involve consumers upgrading the hardware themselves, at least not initially. What we’ll get is a “new” console every 2-3 years: an upgrade with higher specs that will need to be bought at a new console price, as opposed to adding the pieces to your current console. The shift towards this model is nonsensical: despite analysts predicting this would be the last console generation — and Sony even hinting in the past that the PS5 is still an “if” — consumers are lapping up the PS4 and the Xbox One at record rates, particularly Sony’s console, which at current rates will overtake the PlayStation 2. We’re being told that the current model is unsustainable, yet here we are, actual proof that it is. A console game is simple in execution: buy the disc, don’t worry about its compatibility, put it in and play the game. We’re moving towards a digital era now, fair enough, but the primary appeal of the console appears at odds with what Sony is seemingly doing here with the PlayStation 4K. Maybe they’re future-proofing and preparing for a new console era. But claiming this new console won’t “split” the user base is just wrong. You’re looking at pricier and longer development cycles, and eventually a shift towards a more powerful piece of hardware. If you’re a frustrated PS4 owner right now, you’re certainly not alone. The reported specs sound interesting, but you really have to question whether this is the right direction for the console market, and whether Sony is really doing right by its record-setting user base. What are your thoughts on the PlayStation 4K?